Before I proceed I'd like once again to say a huge thank you to TRAC and their employees for their acceptance and assistance on the day.Here we go then with the second installment of this series, a series which has left me quite literally with my head in my hands at times over the last 7 days, the reality is I seem to be learning as much about myself as anything else!! I genuinely started the day excited by the prospects that lay ahead, nine hours later I finally called it a day, physically drained but relatively upbeat. A bad nights sleep followed and I awoke with a feeling of indifference, one that prevented me from even uploading my images for a couple of days. What I could only describe as a photographic depression was to follow on my initial review of the images, fortunately this has eroded slowly to the point at which I feel the images are good enough to post. This it would seem, is now the process I must go through, hopefully the enjoyment will return but at the moment it's been replaced in the main by frustration, nothing is ever quite good enough!! It's no secret that I love the Leica M9 and this along with the M6 were my cameras on the day. As it happened I shot only one roll of Ilford HP5 Plus with the M6, this was absolutely not what I intended, somehow though in the end I almost forgot about the M6 over my shoulder, another lesson to heed. Hopefully I have managed to capture some of the emotion of the day, I had a specific processing look in mind for these images which I have applied here and there, at the same time I have processed others in the B&W I enjoy. With luck what I have done will do justice to the images. I was initially struck by how smart the female jockeys were on their arrival, like business women, which I suppose they are. 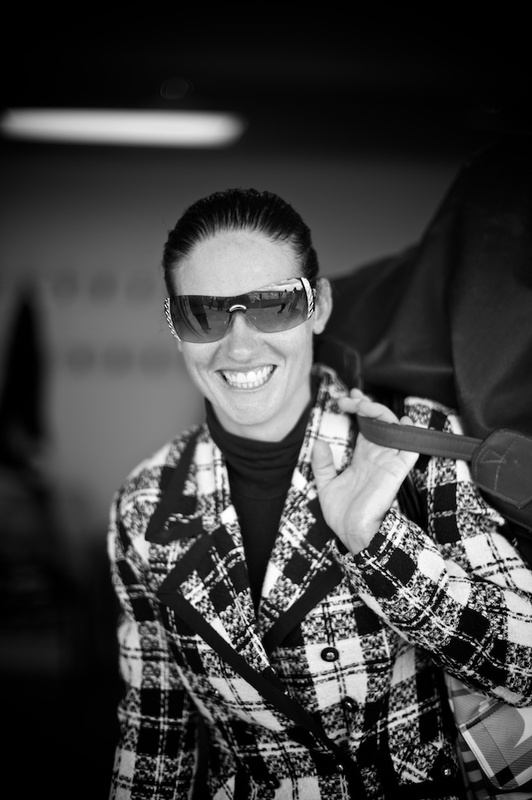 Lynsey was by far the most relaxed and sociable of the jockeys I encountered. Tension at the weigh-in is almost palpable, these guys know what they weigh to the nearest ounce before they step on the scales but there is almost always a visible sign of relief when its over. Chad Ormsby waits to weigh in. 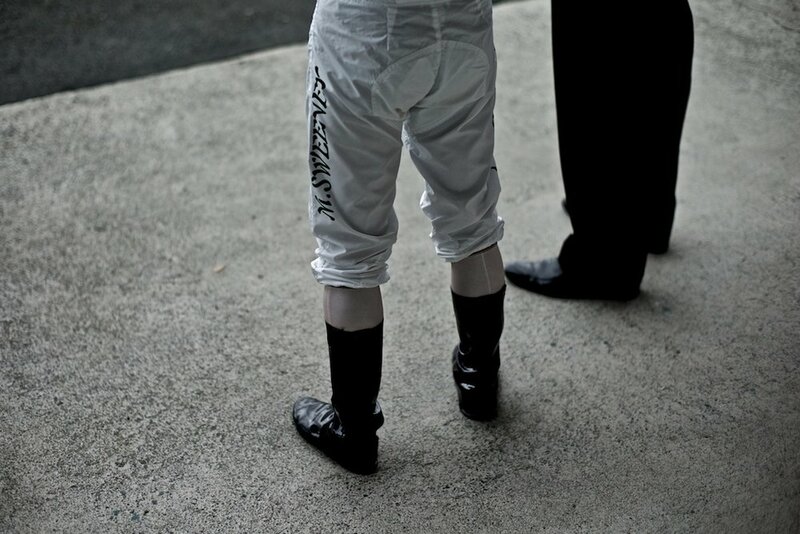 Behind closed doors, Michelle Wenn completes her last minute preparations before exiting the Jockeys room. 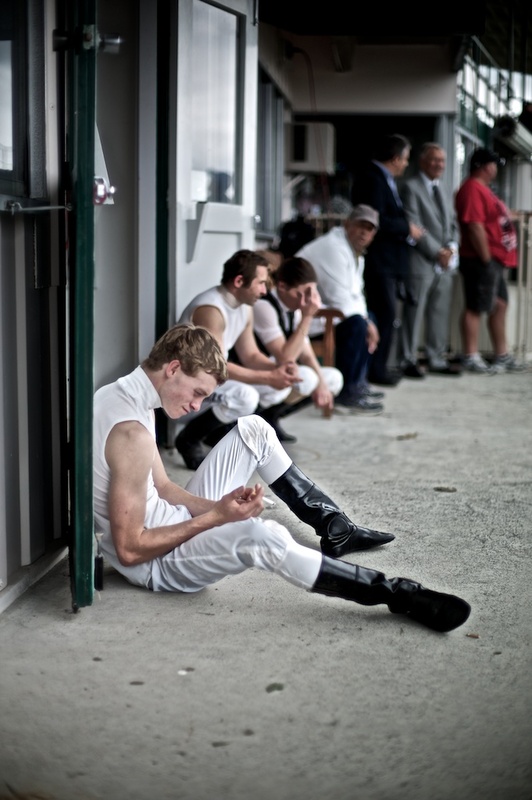 Waiting is very much a part of the day for the jockeys, and for me a chance to try to capture them reflecting on the days events and trying to relax between rides. 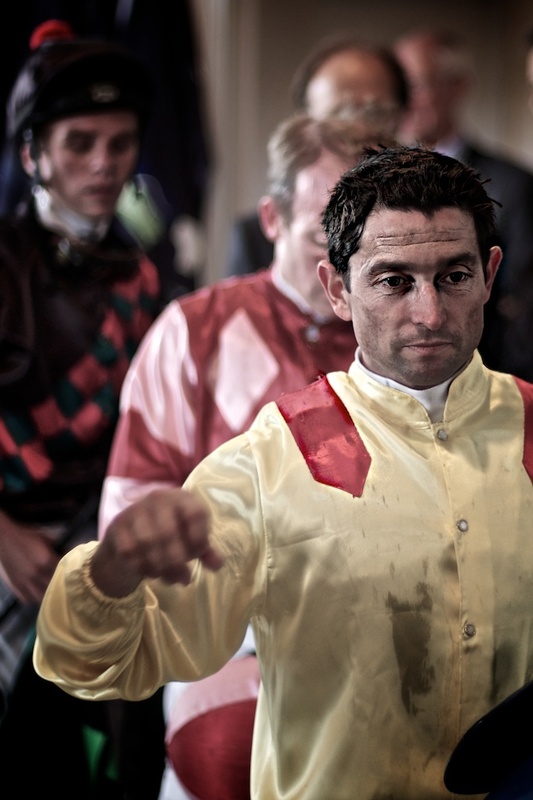 With the race run the Jockeys return, the going is clearly hard......emphasized by the expression on the face of Leith Innes. 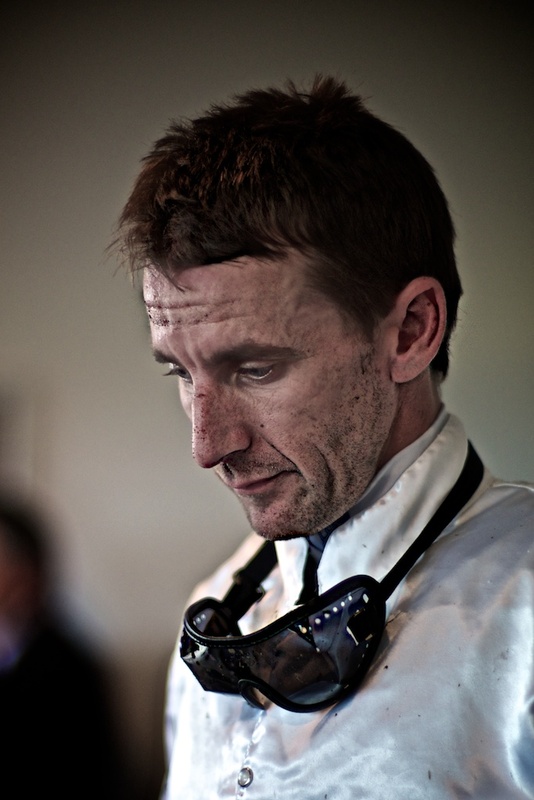 Below, Mark Sweeney looks on between races, I would image a combination of trying to stay focused and keeping relaxed. Elsewhere Rory Hutchings also hits the relax button. Another race is over & Mark Sweeney returns for the post race weigh-in. 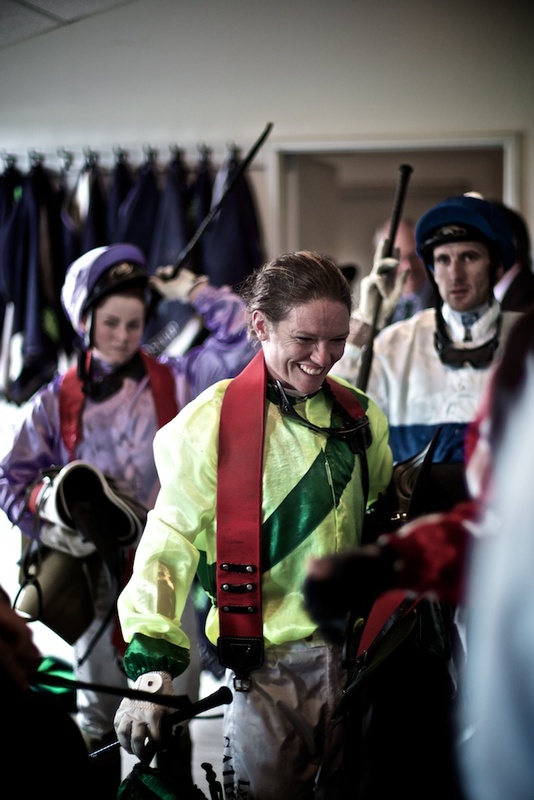 Always smiling, Lynsey Satherley prepares to weigh-in. Can I just finish by saying I have a new found respect for these guys, sure I've been to the races before as a social event but I had no idea quite how hard these guys work or how professional they are.